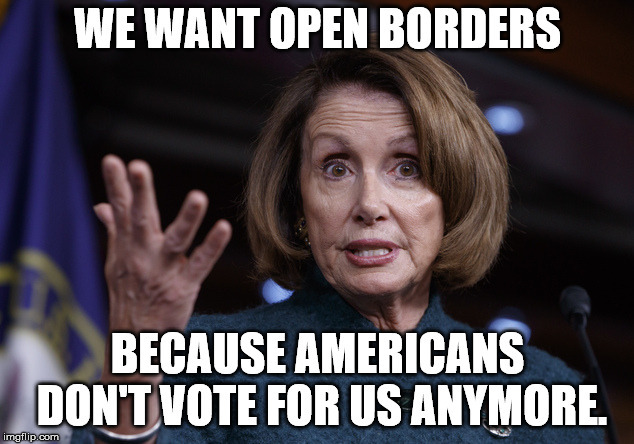 Democrats need the invasion to continue, we only have 50 million Hispanics here with 25 million of them being illegal alien invaders. When it comes time to vote, no ID is required so they vote. and they vote Democrat because the Dems support all the welfare for them. 3) No voting without showing a valid PASSPORT or DL (and all DLs must clearly show if someone is a citizen or not). 5) No money transfers OUT of the country without a valid SSN, green card, visa, or short term visit stamp in your passport. Doing this is JUST AS CRITICAL as the border wall.